The Aggie Transcript is a forum for UC Davis students to discuss and exchange their perspectives on science and its role in society. It provides a publishing venue for students to display their expertise and to share what they have learned in their classes. The journal represents an inclusive and accessible form of expression for students to submit pieces of original writing, news and art related to the life sciences. 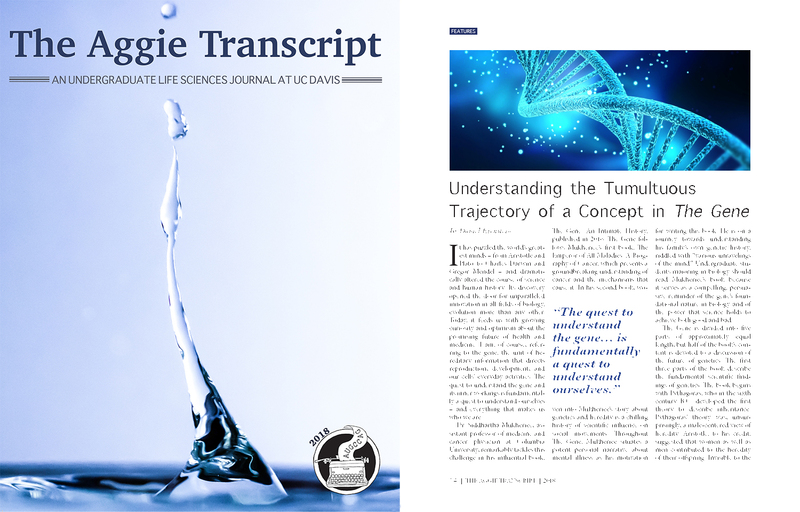 In 2014, The Aggie Transcript was launched by Professor Sean Burgess, Department of Molecular and Cellular Biology, and eight students from her Advanced Molecular Biology class (MCB 121).